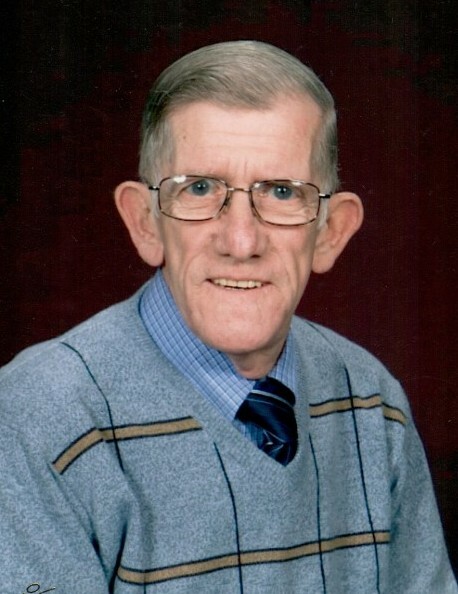 Norbert W. Beaudreau, 77, of Woonsocket, passed away March 25, 2018 in Landmark Medical Center, Woonsocket. He was the husband of Jeanne (Tremblay) Beaudreau, whom he married on September 14, 1968. Born in Pawtucket, he was the son of the late Joseph and Bella (Chapdelaine) Beaudreau. He worked for seventeen years as a Meat Cutter for Lil' General of Bellingham. Prior to that, Norbert worked thirty-seven years as a dispatcher for Key Container of Pawtucket. He was a longtime communicant of St. Joseph’s in Woonsocket, as well as a Scout Master for Cub Scouts and Boy Scouts of America. Besides his wife Jeanne, Norbert is survived by two sons, Paul Beaudreau and his wife Kim of Cumberland, and John Beaudreau and his husband Dameian Slocum of Providence; three grandchildren, Stephen Beaudreau and his wife Kaitlyn, Bryan Beaudreau, and Katelyn Jabotte, all of Woonsocket; two brothers, Joseph Beaudreau of FL, and Marcel Beaudreau of NC; as well as a sister, Theresa Cartier of Central Falls. He was the brother of the late Maurice and Roland Beaudreau. A Mass of Christian Burial will be celebrated Monday, April 2, 2018 at 10:30 AM in St. Joseph's Church, 1200 Mendon Road. Burial will follow in St. James Cemetery, Manville. The family will greet friends and relatives beginning at 10 AM. In lieu of flowers, memorial contributions are encouraged to be made to: American Lung Association, Donation Processing Center, PO Box 7000 Albert Lea, MN 56007-800.